Traveled to Russia in the summer basically do not need much special preparation. This is because of the weather and nature in Russia could be considered similar to the tropical country.The only difference is the sun that illuminates the past in the Russian land longer. Summer air temperature is generally in the range of 24 degrees Celsius. There is a very hot during the week when temperatures above 30 degrees Celsius. Rain is not unusual to come at that time. Events that often occur in the summer heat rate is the northern hemisphere than usual so that the temperature in Moscow. Often reached 40 degrees that lead to forest fires. In this regard, provisions should be brought to Russia course of the clothing will be very minimal. You simply bring light clothing such as socks, shirts, shorts, shoes, and jeans. Raincoat and jackets do not need to be taken. Many Asian people who often carry when traveling long noodles are cheap and easy to cook. These foods can be brought to Russia to put in a suitcase and if possible to bring a rice cooker small and lightweight. Rice can be easily purchased in a variety of supermarkets with a starting price of 68 rubles per kilogram. Do not forget to bring a drug that is often used. Despite all the drugs available in Russia and could be the price of certain drugs may be cheaper, it is advisable to buy drugs before departing. It is certainly to avoid communication problems in Russian. 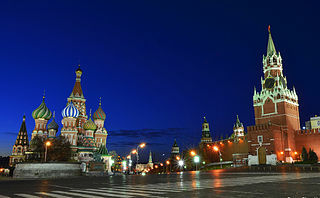 Cold medicines, vitamin C, and various supplements can be taken to strengthen the body’s condition during a tour in Russia. And the last one is bringing a complete dictionary of the Russian language or conversation. First learn and memorize certain phrases. This is very important because there are many officers are still reluctant to speak English.The ability to communicate the local language is necessary so that no unintended barriers due to a misunderstanding.